For lunch we each had a Smoked Trout and Avocado toasted sandwich. 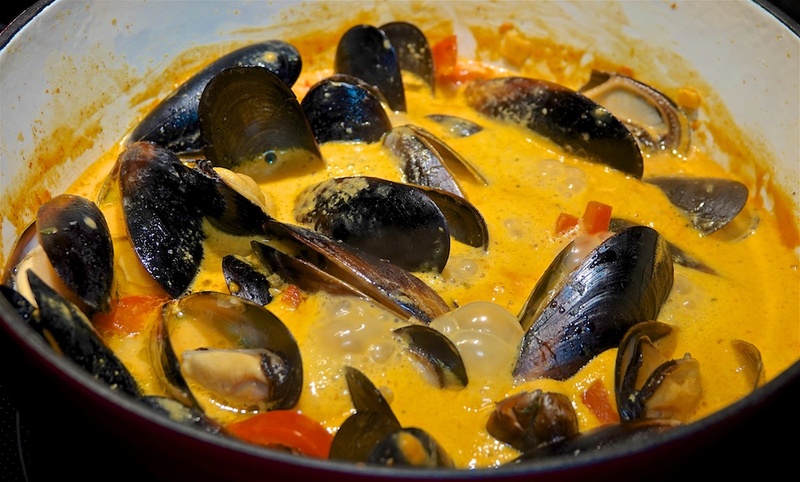 Since it’s “Fishy Friday” we had Mussels in a Coconut Red Curry. We bought a packet of pre-cooked mussels from our local Ralph’s (Kroger). These are obviously a “packaged for retail” version of a food service product. We made half the recipe. A rustic panini roll was 63c. We both enjoyed this meal a lot. Quite simple with a lot of warming spices that didn’t dominate the mussels. A tasty and enjoyable meal for $4.01 per serve.